1. Log into your account (if you're not already logged in) here by enter your email address and current password and clicking 'Log in'. 2. 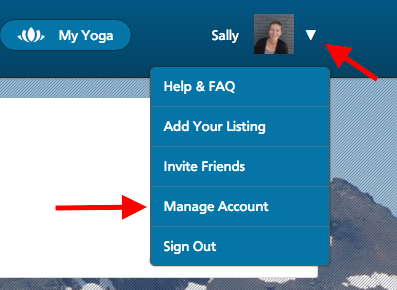 Once you're logged in, find the drop-down menu at the top right. 4. In that drop-down menu, select 'Manage Account'.